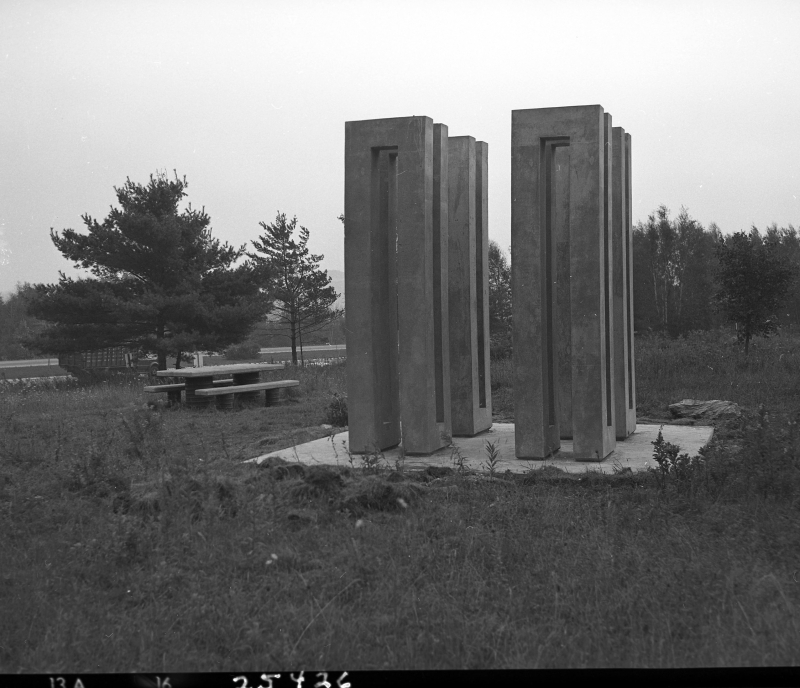 This image shows a stone sculpture in a grass field near a rest area. There is a picnic table to the left of the sculptures that is surrounded by trees. To the far left, the paved roads of the highway can be seen.